I received my 2017 buck back from the taxi and wanted to share. This is my 1st pedestal mount. Cool to have my friends at Hunter�s Choice Taxidermy and Mcgrath Woodworks create this for me. 1. "RE: Luck Buck is Back"
2. "RE: Luck Buck is Back"
Looks great!! Congrats on a beautiful buck. Colorado? Cancer doesn't discriminate...don't take your good health for granted because it can be gone in a heartbeat. Please go back and read the last line. This time really understand what it says. 3. 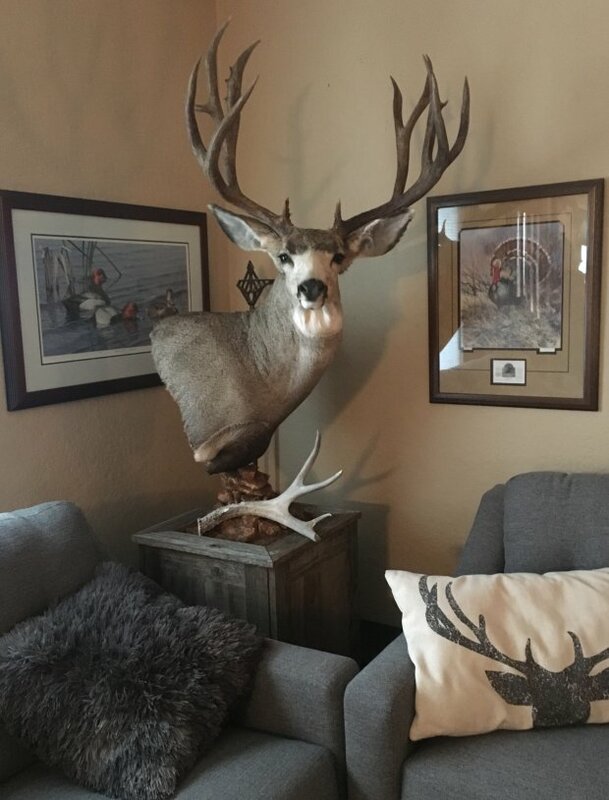 "RE: Luck Buck is Back"
Wow incredible Buck and Awesome mount. 4. "RE: Luck Buck is Back"
Thanks for sharing. Great buck there. Congrats. 5. "RE: Luck Buck is Back"
6. "RE: Luck Buck is Back"
7. "RE: Luck Buck is Back"
8. "RE: Luck Buck is Back"
9. "RE: Luck Buck is Back"
10. "RE: Luck Buck is Back"
THAT'S a Super job they did on a Awesome buck. Once in a lifetime tag and Buck. 11. "RE: Luck Buck is Back"
12. "RE: Luck Buck is Back"
13. "RE: Luck Buck is Back"
One of the nicest I've seen. Great job all the way around!! 14. 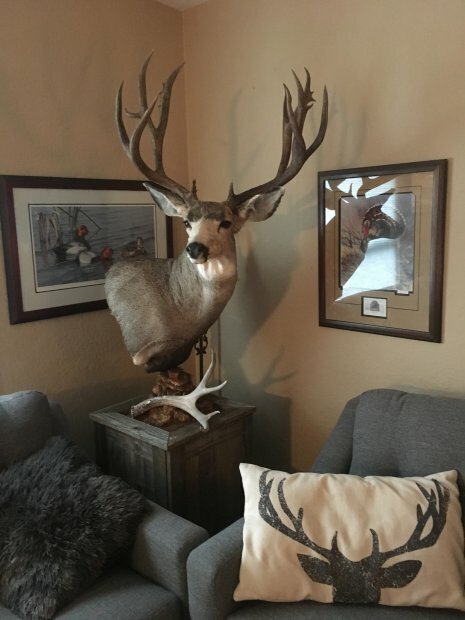 "RE: Luck Buck is Back"
Great buck and awesome mount! 15. "RE: Luck Buck is Back"
Very nice! Congrats on a great buck and a great taxi job! 16. "RE: Luck Buck is Back"
17. "RE: Luck Buck is Back"
Great buck and a beautiful taxidermy job. 18. "RE: Luck Buck is Back"
That buck just added 20 inches the way your taxi showed him off!!! Buck of a lifetime. 19. "RE: Luck Buck is Back"
20. "RE: Luck Buck is Back"
Looks great! That buck is a big one!! 21. "RE: Luck Buck is Back"
Congrats, that's a beautiful buck and mount! 22. "RE: Luck Buck is Back"
23. "RE: Luck Buck is Back"
Beautiful deer. Congrats! Did you previously post a story to go along with the photos? "It is fair to ask how much comes in with the five dollar application fees and how much went onto the ground.� Don Peay of SFW during 3/31/2005 Wildlife Board Meeting. 24. "RE: Luck Buck is Back"
25. "RE: Luck Buck is Back"
26. "RE: Luck Buck is Back"
Buck of a lifetime. Congrats and Hats off. 27. "RE: Luck Buck is Back"
That is an awesome buck and a very good looking mount!!! Well done. You should be proud to show him off! 28. "RE: Luck Buck is Back"
Sweet buck and mount! Congrats. 29. 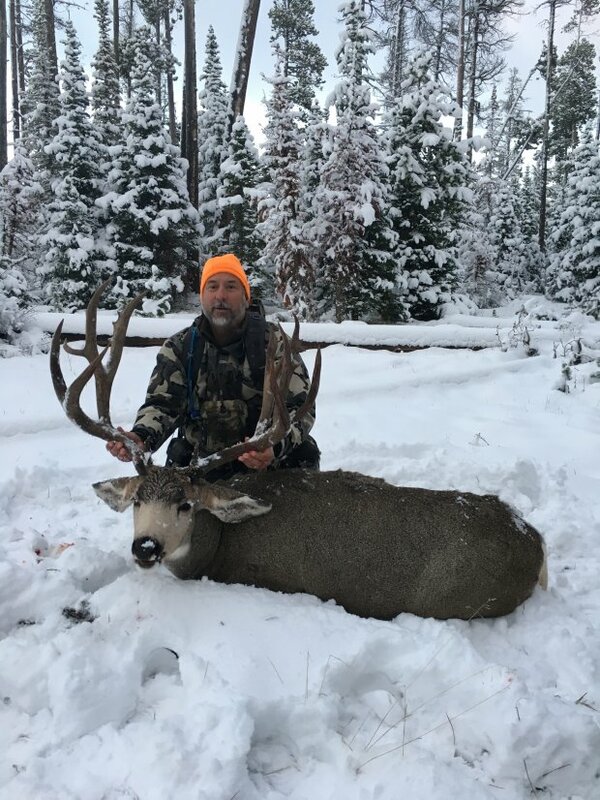 "RE: Luck Buck is Back"
Awesome deer and mount, Congrats! 30. "RE: Luck Buck is Back"
Congrats on an amazing buck and beautiful mount ! 31. "RE: Luck Buck is Back"
32. "RE: Luck Buck is Back"
33. "RE: Luck Buck is Back"
34. "RE: Luck Buck is Back"
I remember your story from last year, that buck is what dreams are made of. 35. "RE: Luck Buck is Back"
Nice deer, and a kool mount! I read the archived story. You put in the time and effort, and earned that chance!